Farewell and All the Best! 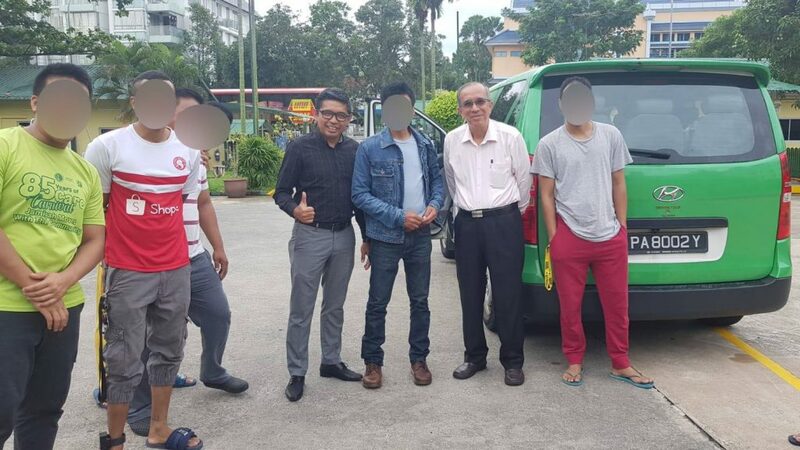 Jamiyah Halfway House (Darul Islah) residents sent Mr Y (not his real name) off this morning. Mr Y has completed his 6-month programme at Darul Islah and will embark on a new chapter in his life. 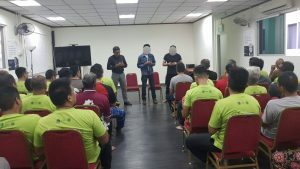 Dr Isa Hassan (in beige long-sleeved shirt), and Mr Mohd Faizal Abas, Chairman and Acting Head of Darul Islah respectively were with the residents as well.